It is my great pleasure to welcome Paul Strohm to A Writer’s Retreat for a Q&A about his new book Chaucer’s Tale: 1386 and the Road to Canterbury (Viking 2014). A little background: Paul has taught medieval literature at Columbia University and was the J. R. R. Tolkien Professor of English Language and Literature at Oxford University. You’ll find a list of his books embedded in the following interview. Chaucer’s Tale is a microbiography of Chaucer that tells the story of the tumultuous year that led to Geoffrey’s creation of The Canterbury Tales. In 1386, Chaucer was swept up against his will in a series of disastrous events that would ultimately leave him jobless, homeless, separated from his wife, exiled from his city, and isolated in the countryside of Kent—with no more audience to hear the poetry he labored over. This is the story of what he did about that, and how he came to that decision. Q (Candace): You seem comfortable moving between medieval literature and medieval history in your writing, your works often a unique mixture of the two (thinking of Social Chaucer, England’s Empty Throne, and, of course, Chaucer’s Tale). Did you begin your studies with the dual interest, or did the literature lead you to a curiosity about the history? A (Paul): Well, I was an undergraduate history major but kept wanting to write about literature and so I switched to English for graduate school. But I kept coming across questions in literary texts that seemed to require some historical knowledge for an answer. I’m a great believer in the pressures the world beyond the texts exerts on the text–expressed not just in the kinds of factual things you footnote, but also on textual deformations and even on the text’s whole configuration. History’s effects are sometimes veiled–I talk about its influence on the text as an “absent pressure,” but it’s still there. Q: Your subtitle succinctly summarizes your thesis. Because of a confluence of events in 1386, Chaucer wound up living in the Kent countryside, far from the stimulations of London and his familiar audience. And that’s where he began writing The Canterbury Tales in earnest. 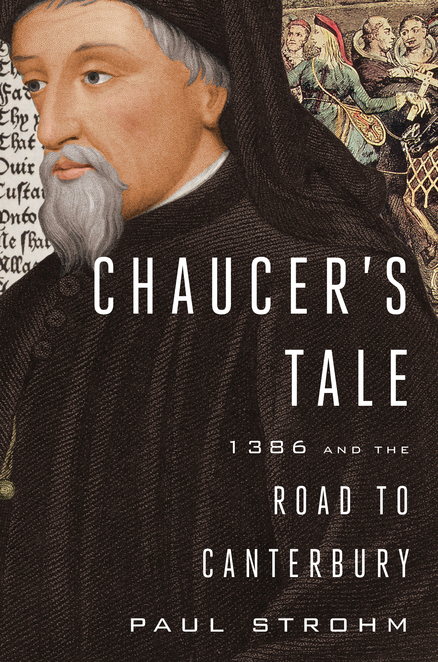 Which came first, your curiosity about why he chose to write such a collection of tales toward the end of his career, or your awareness of what an annus horribilis 1386 was for Chaucer? A: I was initially interested in what a terrible year it was, that practically everything that could go wrong went wrong for him. But then I asked, how did he handle it? And that’s when it dawned on me that at the end of this year he began the Canterbury Tales, and I started looking for a connection. The absence of his customary audience and the importance of his invented one is where I went with that. Q: Chaucer the royal esquire, controller of customs, member of parliament, and husband of Philippa Swynford comes off as a bit of a sad sack in Chaucer’s Tale. For example, wrapping up the chapter “The Wool Men,” which chronicles business antics rivaling anything we read about today, you conclude that: “a balanced view of Chaucer’s performance in office [controller of customs] would have him neither as a hero nor a villain but as a man who kept his head down, an enabler. ” (p. 136) Is this what you expected to see when you started looking into his career in the customs? Were you surprised, disappointed? 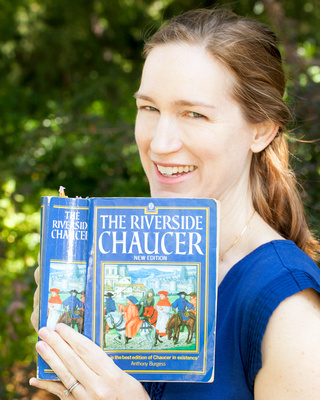 How has this deep research affected how you read Chaucer? A: He was more of a survivor than an ethical hero. But that’s what we would want from him, isn’t it? That he survive, to write those wonderful poems! Maybe the first obligation of a great artist is to find ways to keep making art. Q: Chaucer was writing in an environment as uncertain as the one in which we write today. As you note: “The 1380s were a crucial decade for literary change in England, and Chaucer’s literary situation was as volatile as everything else in his world. New ideas about writing authorship, audience, circulation, and personal renown were in the air. Writing in English—an unusual decision when Chaucer made it in the 1360s—was taking hold, and demand for works in the native language beginning to grow. Technologies of literary circulation were in rapid development, encouraging the copying and circulation of manuscripts to larger and farther-flung audiences. Chaucer’s literary contemporaries were beginning to think differently about claiming credit for their work. Taken together, these developments began to suggest new ways of being a writer, new stagings of a literary career. (p. 185)” So I just have to ask, did you find his solution, “to maken vertu of necessitee,” encouraging in your own approach to the changing environment we face today? A: For Chaucer, the idea of an anonymous audience out there reading his work and forming conclusions about it when he wasn’t there to gauge response was extremely unsettling. You can see that at the end of Troilus, when he realizes that he’s written a poem with a potential for more general circulation and goes kind of haywire about the whole thing, troubling himself about scribes miscopying it, and praying (although not very hopefully) that it be properly understood. He was accustomed to a more intimate author-audience situation. Of course everybody then got used to absent and anonymous audiences in the age of print. But now electronic circulation is throwing the situation up for grabs in another way. In the era of the bound book, an entire apparatus of publishing houses and print advertisements and respected book reviewers played a role as cultural go-betweens, directing books toward the audiences most likely to appreciate them. Now, with the internet and e-books and readers encouraged to do their own pop-up reviewing, it’s more of a free-for-all. Everybody has a say, or can have a say if they want one. You can bet I’m taking some nervous looks at Amazon and Goodreads reader reviews, and that’s a factor that didn’t exist five years ago. Q: Who is your audience? is a question I asked of my students in freshman comp, the scientists and engineers I edited in a laboratory, and my creative writing students, and that my editors ask of me. Until Chaucer’s exile to the Kent countryside his audience had been Londoners and perhaps the royal court. Suddenly, he had no audience. When I came to the section “No Audience? Invent One.” I thumped the arm of my reading chair. Yes! Of course! “He will keep on writing—but for an audience of his own invention. Its members will be the vivid portrait gallery of Canterbury Pilgrims—hearers, tellers, judges, and occasional victims—a body of ambitiously mixed participants suitable for a collection of tales unprecedented in their variety and scope. It will live within the boundaries of his work, perennially available as a resource for the telling and the hearing of tales. Above all else, it will be a portable audience…” (p. 227) I confess that I took it for granted that this was a classic arrangement, but of course I can’t think of an example that precedes Chaucer. This is my favorite part of the book, because it drew me back into the tales themselves (which is why it took so long to get these questions to you). I’ll step back and let you elaborate on the brilliance and freshness of this structure, if it please you! A: Tale-collections were common in the Middle Ages, but the premise was always that they contained one kind of tale: saints’ lives in this collection, comic fables in that one. And they were pretty much targeted toward a uniform sort of reader: devout laypersons for vernacular saints’ lives, noble patrons for arts of rule. Even Boccaccio’s Decameron, the closest precedent to Chaucer’s poem, strives for a kind of evenness in subject matter and delivery, nouvelles told in a kind of agreeable middle style by a socially-uniform group of gentlefolk. Whereas Chaucer mixes it all up: the different kinds of tales, and the socially varied group of Pilgrims who tell them. It’s not likely that any group as varied as Chaucer’s Pilgrims would have assembled in real life, but that’s how he wants it: the broadest imaginable collection of English folk, enjoying the widest imaginable collection of tale-types. It’s more a vision than a demographic or descriptive likelihood, but a wholly uplifting–perhaps irreplaceable–vision. The Pilgrims have their quarrels and problems but they work them out and stay on the road together. Still a pertinent message, I should think. A: Working with the Chaucer Life-Records. All 494 known records of Chaucer’s life have been published and are easily available, but even professional Chaucerians don’t usually spend a lot of time on them. Whereas I feel that almost every little scrap–a reimbursement, a reward, a trip taken, a passport, a lawsuit, a legal testimony–invites narration, bristles with narrative potentiality. 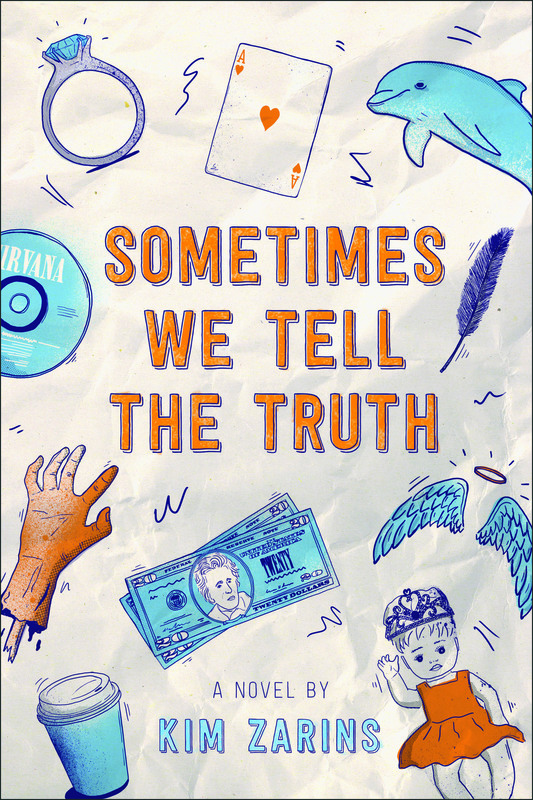 So I wanted the book to be evidence-based, and I wanted the reader to share my sense of discovery, of those bits and fragments from which a life-story gets assembled. Biographers sometimes take it upon themselves to conceal the traces of their labor, to announce conclusions about their subjects without lingering over the bits of evidence and the interpretative processes that got them there. I guess I wanted my readers to see the work being done, so they’d see how I got there. Q: This book feels like a natural extension or sequel to Social Chaucer. Do you see it that way? A: It, like my earlier Social Chaucer, cares about history, but in a different way. In Social Chaucer and in books like Hochon’s Arrow I let myself linger over the uncertainties of my evidence, over its recesses, its obtuseness, its silences and evasions. But when you’re writing a biography–even a “microbiography” as my publisher calls it–you have to commit to narrative. You can’t endlessly wobble about, was it this way or that way. You have to go ahead and make your best choice and get the story told. And I don’t mind that. It’s a different way of knowing. Narrative–the arrangement of details into a coherent account–is itself a powerful tool of discovery. When you narrate incidents, configure them or string them together, you learn things. One friend who read my book said, “Oh, the Canterbury Tales was exile writing.” That hadn’t occurred to me at all, even when the book was written. But it’s there, in the narrative, something that narrative brings to light and allows you to see. Thank you, Paul, and congratulations on the publication of Chaucer’s Tale!